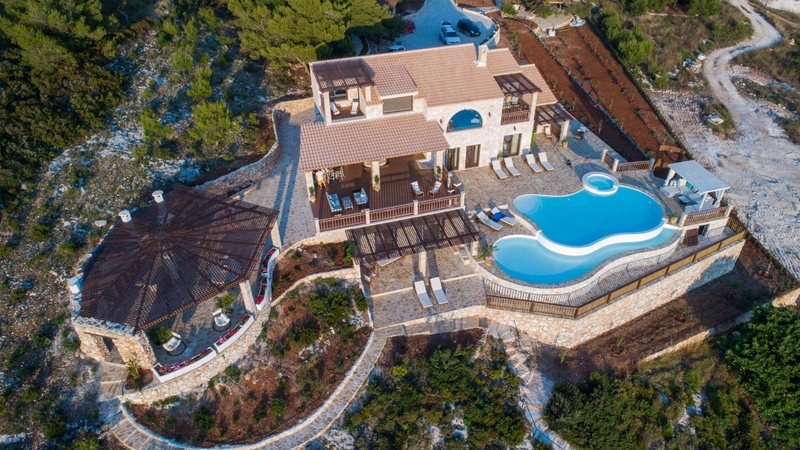 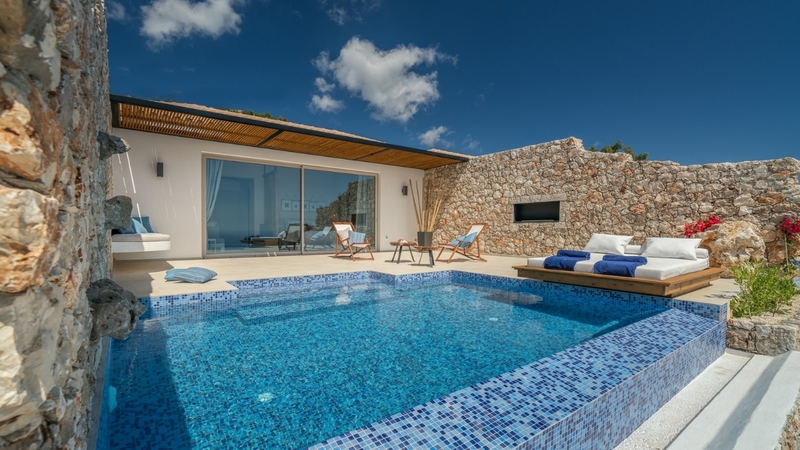 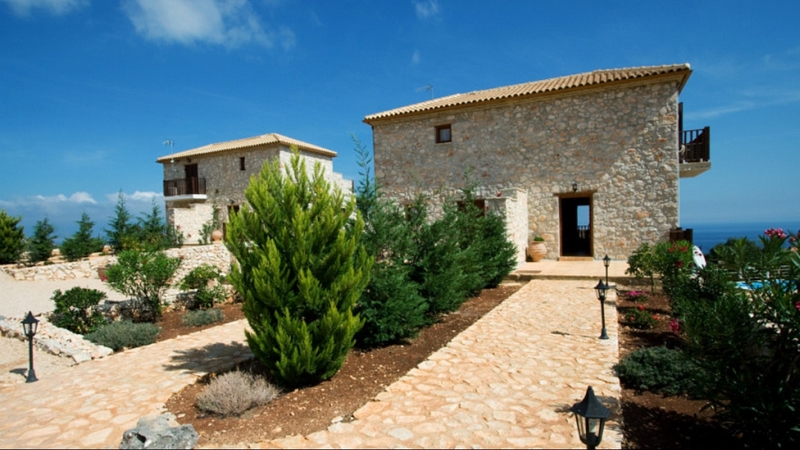 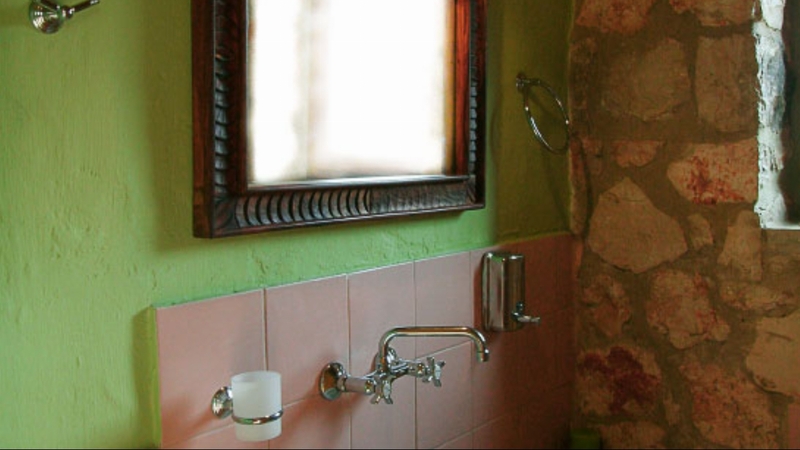 The entrance to the villa is on the first floor and leads you to a spacious open plan living/dining area with a fully equipped kitchen and a bathroom with a bathtub. 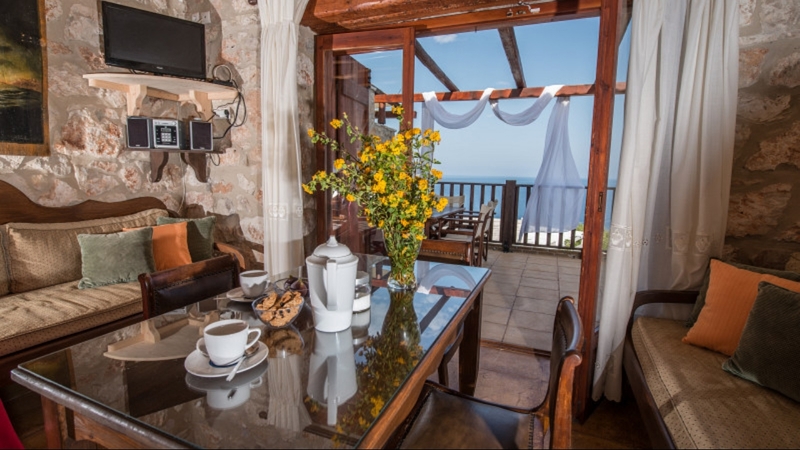 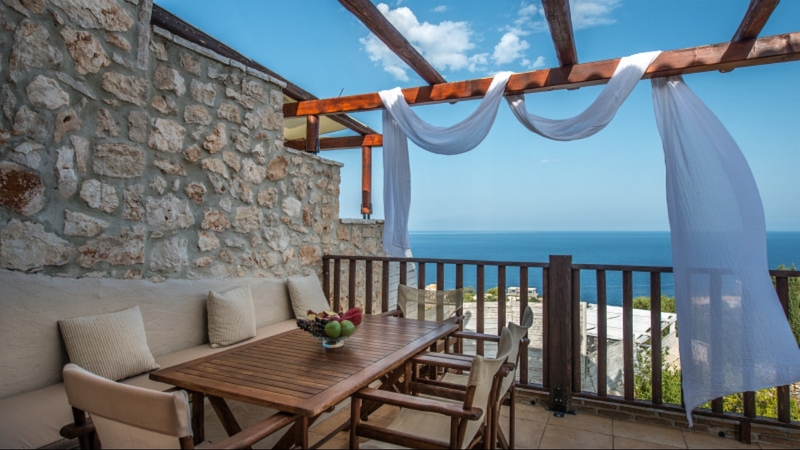 The large veranda has amazing views and is furnished with a wooden table and fixed sofas. 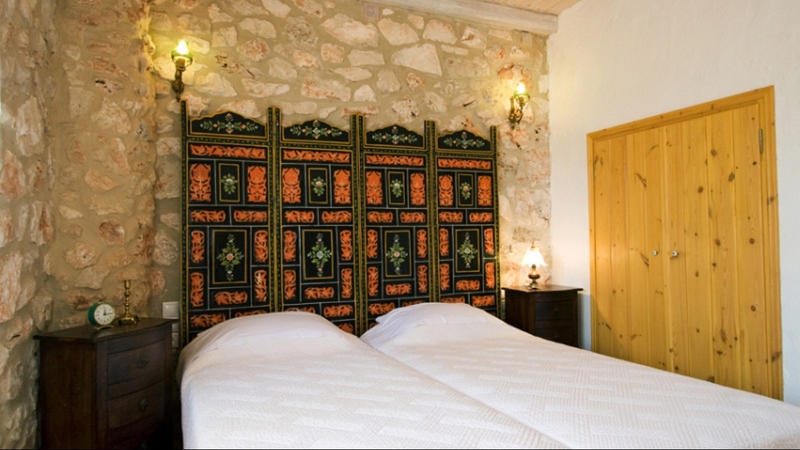 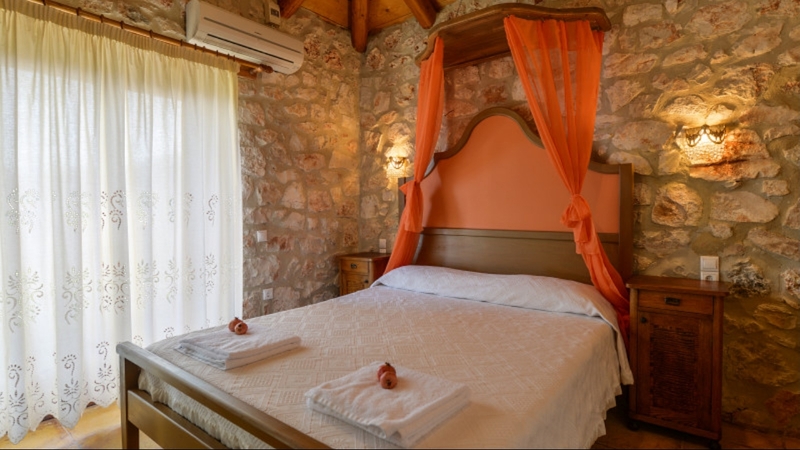 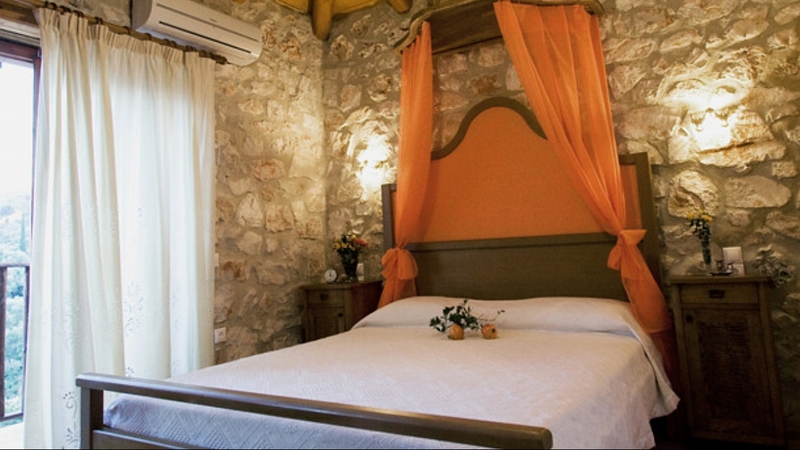 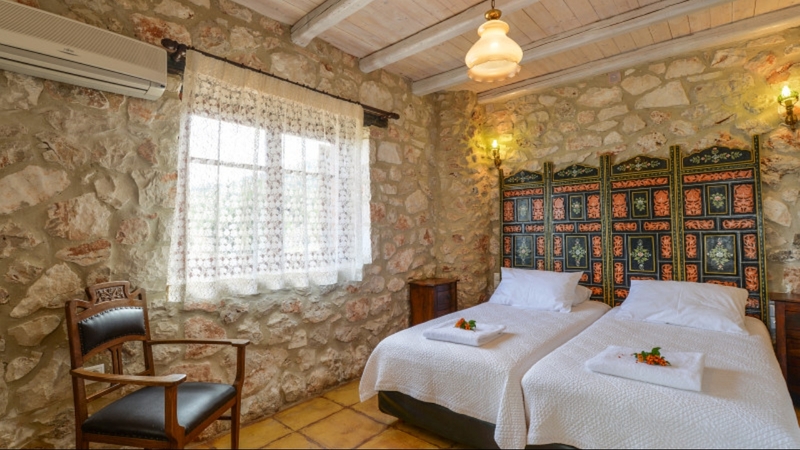 A wooden stairway leads you upstairs to the second floor where there is a romantic bedroom with a four-poster double bed and private balcony. 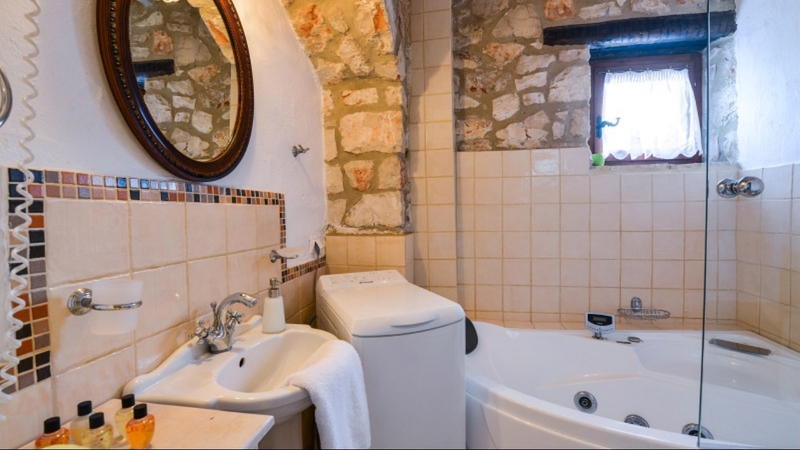 From the first floor there is also a wooden stairway that takes you down to the ground floor which consists of two single beds, hydro massage Jacuzzi and living area containing two sofa beds. 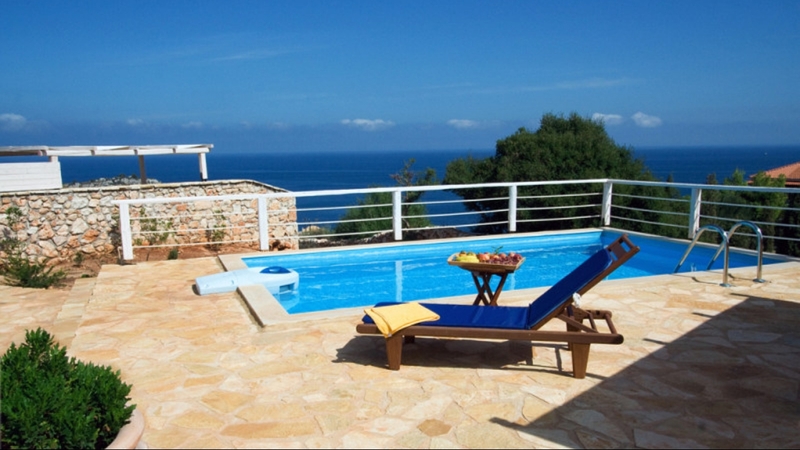 The outside area measures approx 100m², it is accessible from the ground floor and has its own BBQ. 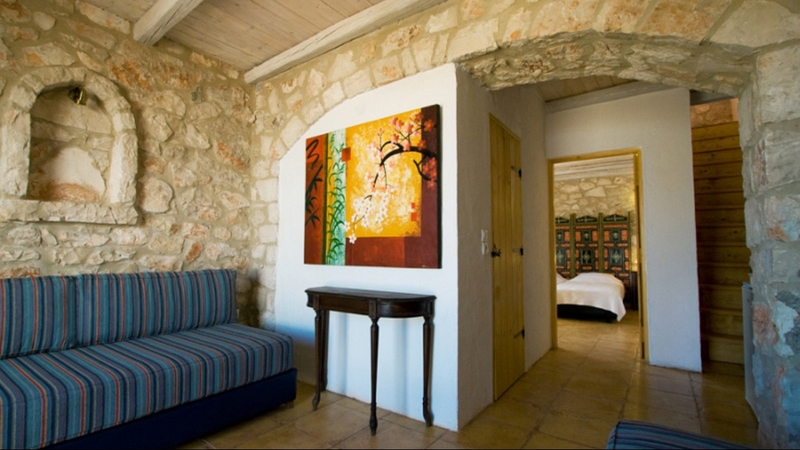 It leads to the private pool and sun lounging area with sun beds and a wooden pergola for relaxing moments in the sun.